The state Coastal Commission did a better job protecting the ocean and coastline in 2018, according to a new report that identifies votes on Orange County issues as the panel’s best and worst actions of the year. The 2018 Coastal Commission Conservation Report Card was issued Monday by ActCoastal.org, a coalition of the San Clemente-based Surfrider Foundation, Los Angeles’ Environment California and Wildcoast/Costa Salvaje, which has offices on both sides of the Mexican border, in Imperial Beach and Ensenada. “The Commission’s most significant vote of 2018 involved a landmark enforcement decision requiring, for the first time, the removal of an illegal seawall,” states the report card of what went down with a Laguna Beach home that was built in the 1950s and received an emergency permit for a seawall in 2015. Seawalls were originally built to protect property from encroaching surf, but they are controversial because they are often erected on public sand, which has become a dwindling resource thanks to beach erosion. As a result, the commission has permitted seawalls for development constructed before the Coastal Act went into effect in 1976 but has been stingy with allowing them for projects after that year. 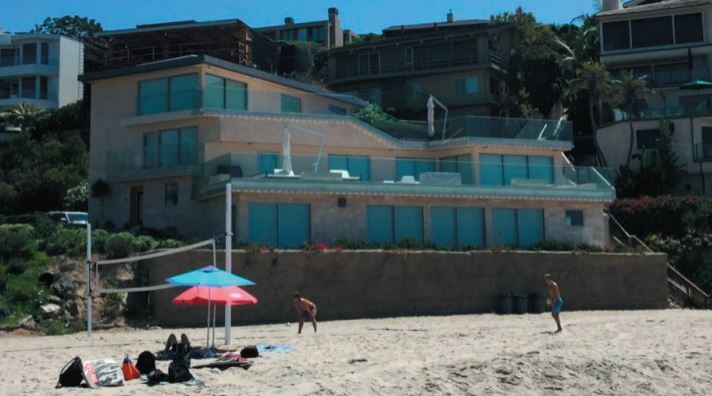 Investors who resided adjacent to the Laguna Beach home purchased the property and applied for a permit to reinforce the seawall and do a major remodel of the structure. The Commission agreed with its staff in issuing a cease and desist order that included removing the seawall, although commissioners imposed a $1 million administrative fine as opposed to the $500,000 penalty staff had recommended. Either is still less than the $8 million maximum fine allowed by law. Not so much when it comes to the commission’s handling of the City of San Clemente’s Land Use Program (LUP) update, according to ActCoastal.org. San Clemente was the first local government to certify its LUP update, which unlocks access to state grant funds for making a Local Coastal Program (LCP) consistent with the Coastal Act–with special emphasis on planning for sea-level rise and climate change. In other words, ActCoastal.org opposes the commission’s leniency with San Clemente for the same reason it hails the panel’s removal of the Laguna Beach seawall. “The Commission’s failure to hold the City to the long-standing definition of ‘existing development’ risks creation of a dangerous loophole and precedent that threatens the future of our state’s beaches,” reads the report card. 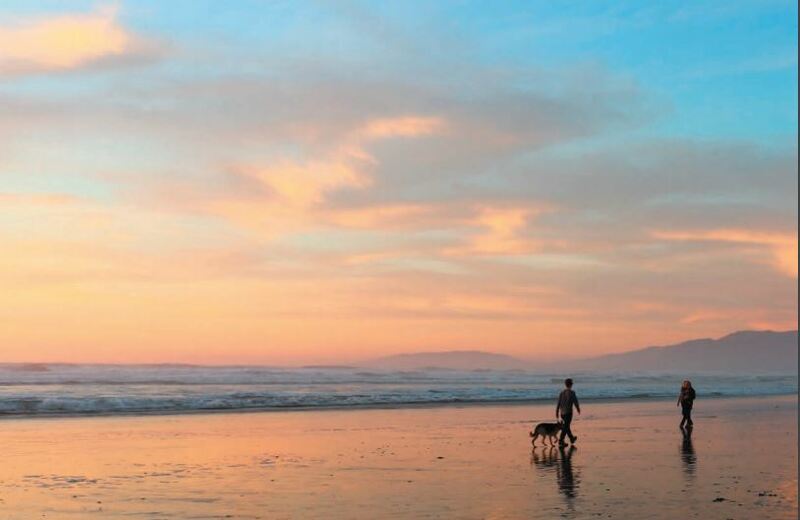 While city councils, county boards and other local entities make land-use decisions, the Coastal Commission has been in place since 1972 to ensure projects conform to the Coastal Act, which protects, conserves, restores and enhances the environment of the vast California coastline. This has sparked some outrage when the commission overrules a local land-use decision, and some have even called the state panel illegal. But it keeps plugging along with its 12 members meeting monthly and reviewing up to 1,000 projects annually. The governor, the state Assembly speaker and the California Senate Rules Committee each appoint four members to the commission, with two coming from the general public and two being elected officials. The state is broken up into six regions, from San Diego to the North Coast, and each region must be represented by an elected official on the panel. There are also three, non-voting ex-officio members. For the report card, ActCoastal.org examined the pro-conservation votes by each commissioner and found that the overall average score hit 88 percent in 2018, which was up from 71 percent the year before and 65 percent in 2016. Of the elected commissioners, Long Beach City Councilman Roberto Uranga, who has represented the South Coast region since being appointed by the Senate Rules Committee to the commission in 2012, scored the highest at 95 percent. North Coast representative Ryan Sundberg, who left his Humboldt County Board of Supervisors seat in December for the private sector, scored the lowest at 67 percent, according to the report card. Jerry Brown appointed Sundberg to the commission in 2017, the same year the then-governor made Sacramento lobbyist Donne Brownsey a selection plucked from the public. She scored 95 percent on the report card, as did Senate Rules Committee public-sector pick Sara Aminzadeh, a Bay Area attorney who has held key legal and leadership positions with Water Deeply, Climate One, Pisces Foundation and the California Coastkeeper Alliance. Click here to read the report card. How about removal of Cliffs Hotel seawall in Pismo in 1998? Or the removal of the unpermitted seawall at the Ritz Carlton Inn in Half Moon Bay in 2004? Don’t see how Katz seawall (which hasn’t been removed) qualifies as “first” seawall removal….. So much for getting the word out about the Coastal Commission’s approval of massive new oil operations in the Los Cerritos Wetlands (Uranga had 4 opportunities to vote against this project but instead promoted it). A seawall is not good, but the Coastal Commission’s approval of drilling for 200 million barrels of oil under the Los Cerritos Wetlands along the Newport Inglewood Fault really is a much more “significant” decision and one which according to Coastal Commission staff, violated the Coastal Act. Where is/where was the 4th Estate the past 3 years? When local activists begged for press coverage, Steve Lopez was consumed with surfers getting access to Hollister Ranch and the OC Weekly never even covered the Coastal Commission hearing in Newport Beach. Banning Ranch was a big deal but nothing like amping up oil extraction from 300 to 24,000 barrels a day, nothing like 70,000 tons of GHG emissions wafting into Seal Beach, Leisure World and maybe even into Los Alamitos proper. The Los Cerritos Wetlands are in both LA and OC and the OC Weekly needs to get the word out (LB has no real news media, NONE). Good to know when the Coastal Commission gets it right, but not as important as holding them accountable when they get it wrong. Uranga is no environmentalist and will not become one if he gets a giant pass like this report card from groups that did not do their own homework.